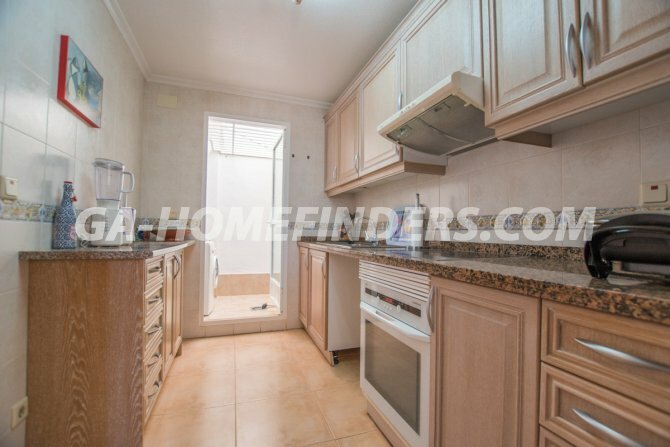 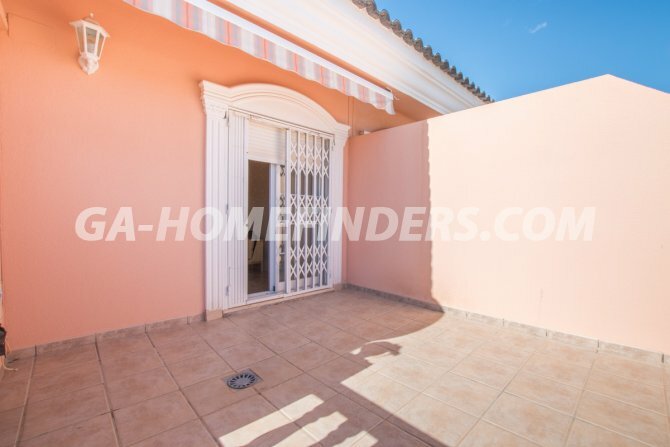 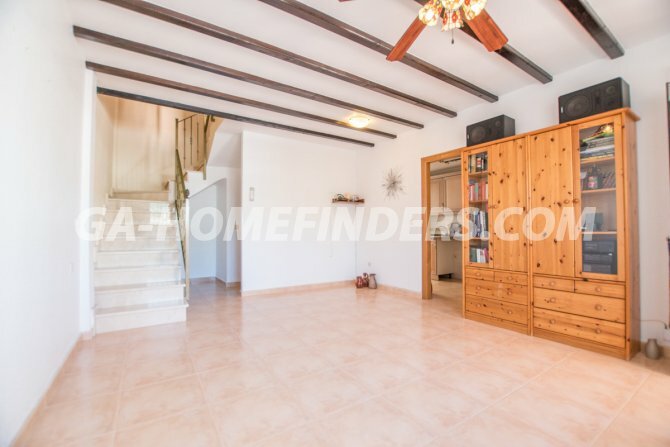 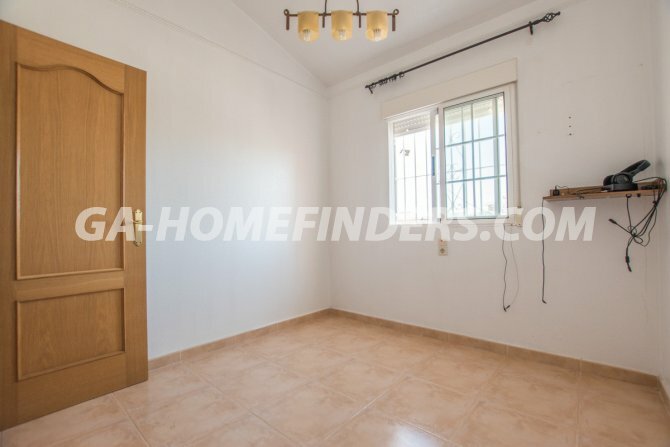 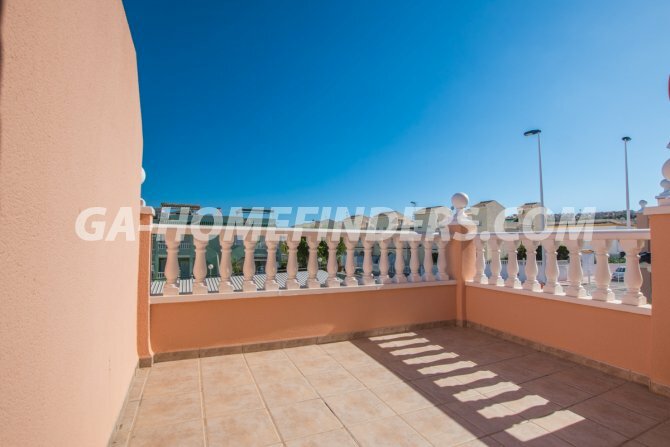 Unfurnished townhouse with 2 bedrooms and 2 bathrooms. 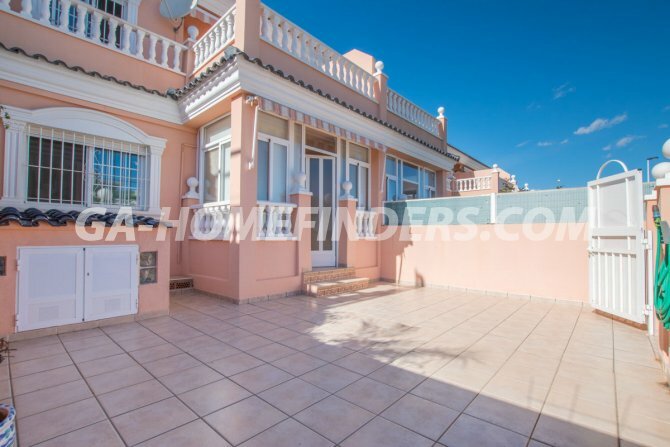 At the entrance of the house there is a large terrace with an independent storage room and a glazed porch. 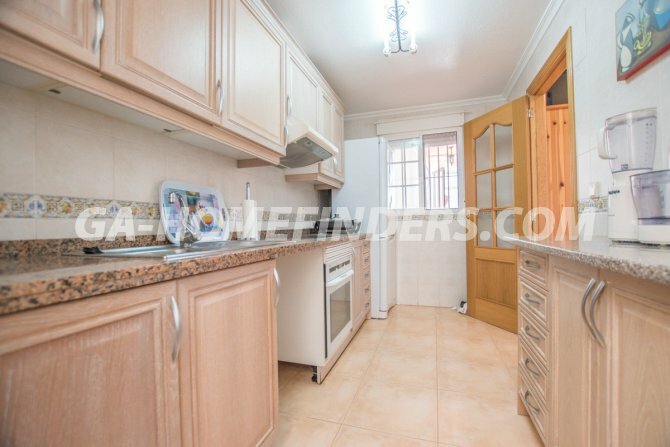 It has living room, kitchen with appliances and gallery. 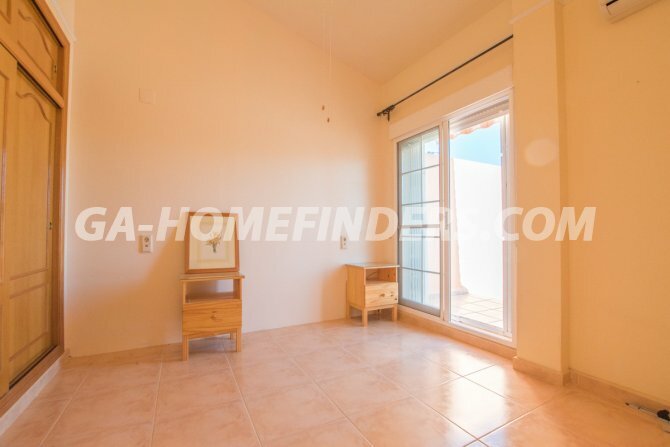 The main bedroom has a fitted wardrobe, access to a private terrace and a sound proofed wall. 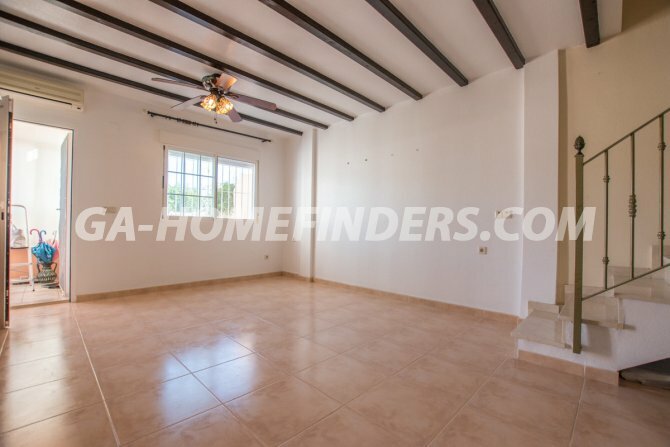 All areas of the house have ceiling fans, blinds and grills and it has air conditioning (hot and cold). 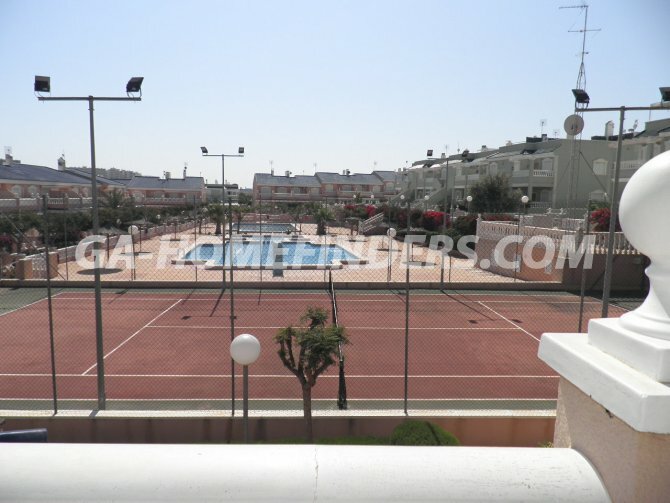 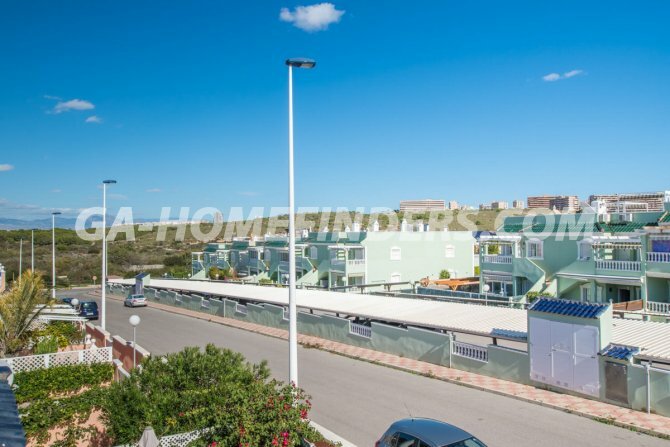 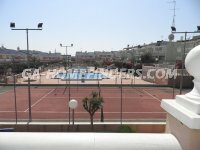 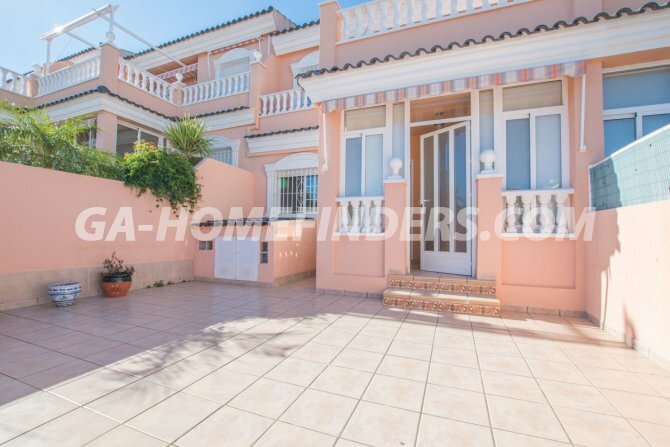 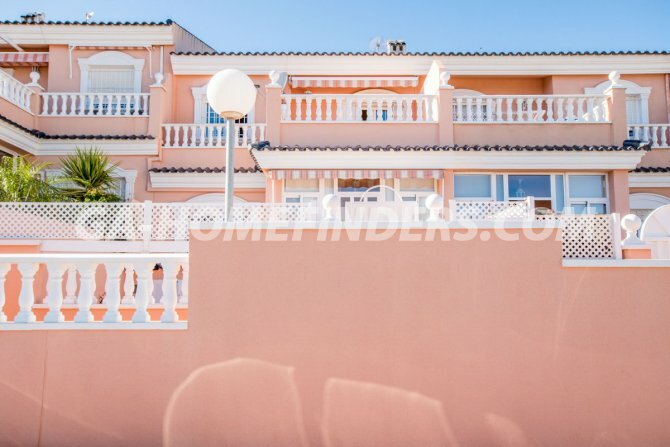 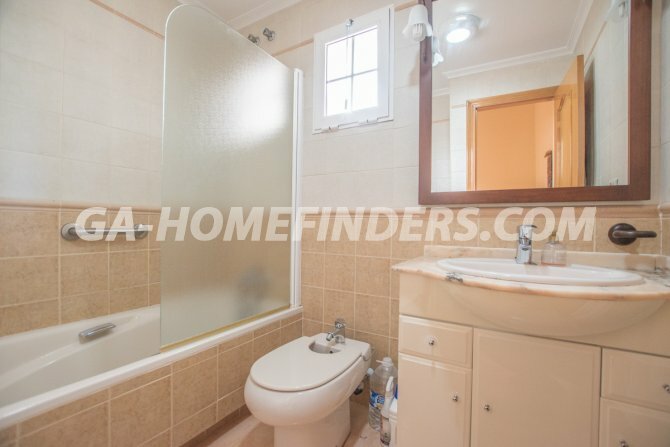 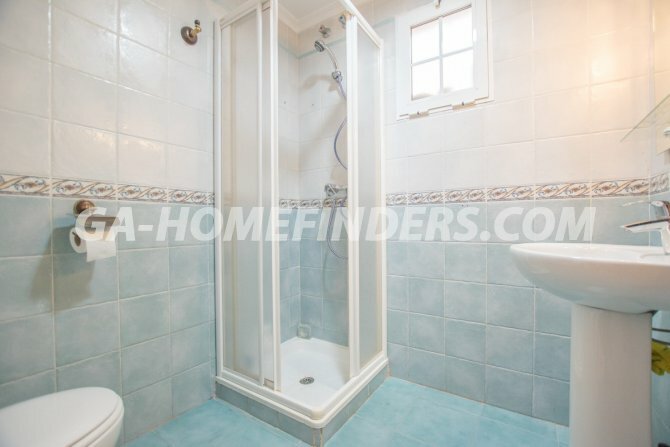 It is situated in the lower part of Gran Alacant in a very well-kept gated urbanisation, with garden areas, sports areas and two community pools. 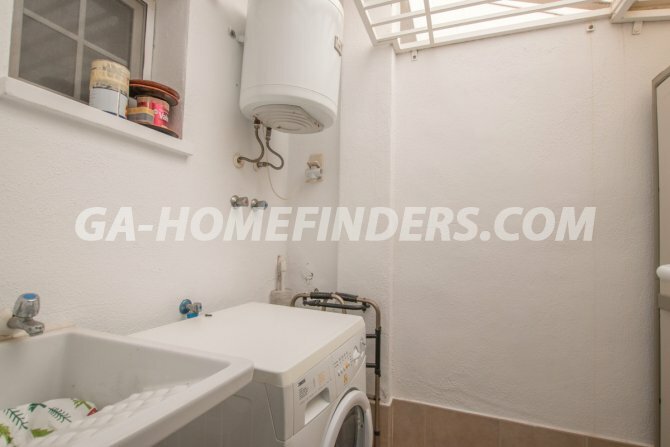 It is located near to the primary school, school, bars, shops, public transport and within walking distance to the beach.